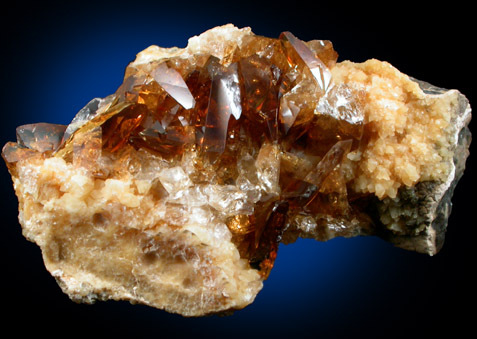 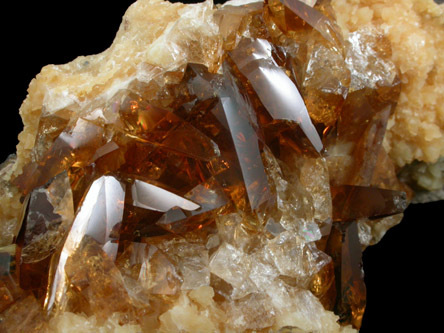 Description: Many amber-colored barite crystals up to 18 mm long in a pocket lined with translucent yellow calcite crystal. 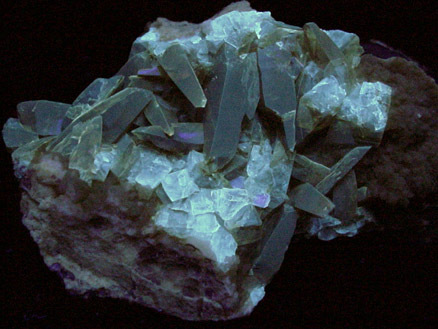 The barite crystals are internally transparent and fluoresce under UV illumination. 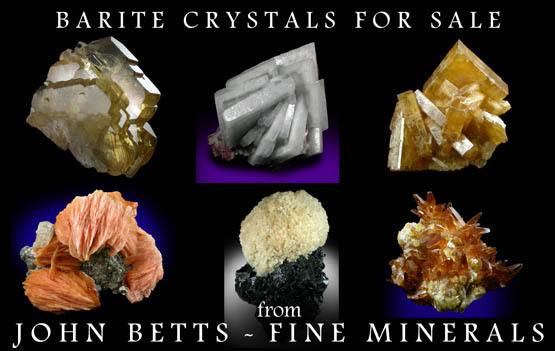 Looks beautiful - must be seen in person.